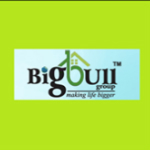 Big Bull Infrastructure Ltd. is a young, dynamic, and vibrant real estate developer with its base in Delhi. The group incepted into real estate sector aiming to fulfill thousands of aspirations by offering people their most beautiful gift of life - a home. And, to fulfill this vision, the group has been striving hard and single-headedly focusing on its principles, innovations and the standard that it has set for itself over the years. The group has also presence in diverse business sectors of Mushroom Cultivating, Travelling Industry, Transport & Textile since 16 years. Known for providing most suitable Infrastructure or weekend holiday homes in the scenic and picturesque locations surrounding Jaipur, the group has become a pioneer in this segment of real estate solutions. Like its name, the group always come-up with solutions that redefine the theory of investment returns.